A Half Barn or Double Shed is a great option to allow for storage of larger vehicles while allowing for workspace as well. 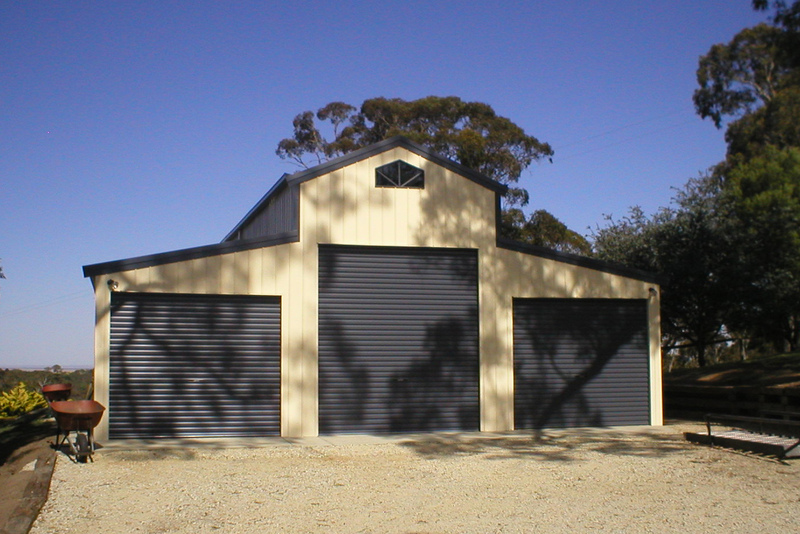 A Three Door Barn Extended is an extremely flexible set up for maximum storage and/or workshop. Extended lean to verandah can double as outdoor entertaining. A Single Door American Barn is the most popular option for stables. We can add another roller door at other end of breezeway for maximum flexibility of access. A Two Door Barn is another popular option for stables. We can add another roller door at other end of breezeway for maximum flexibility of access. Quaker Barns will give you extra style and much more headroom if you choose this unique looking shed. Whether you need more height to fit in something tall, or you wish to add a second floor to your garage, the Quaker Barn can be the right choice. Make a statement with the Quaker Barn. If it’s style you are after, the Quaker Barn might be just what you’re looking for. It boasts wide, open space and unquestionable style. These unique designs make the most of upstairs space, making them a practical solution for that holiday block, studio apartment or alternative living arrangement. These are also widely used as double garages with massive storage capacity. 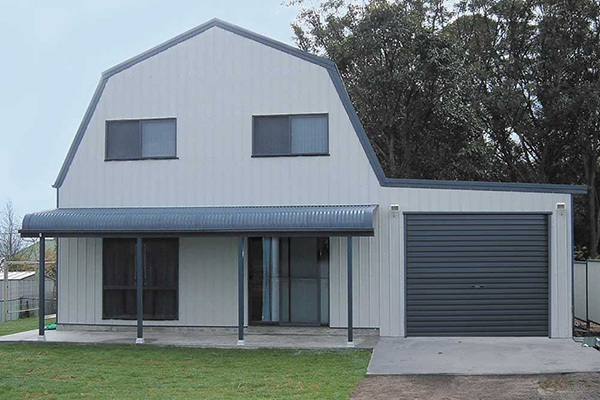 An Aussie Barn is an American Barn without a drop for the lean-tos down from the breezeway. The roof span is broken up similarly to the American Barn allowing for greater shed width at a lower cost due the smaller steel frame required for shorter width spans. 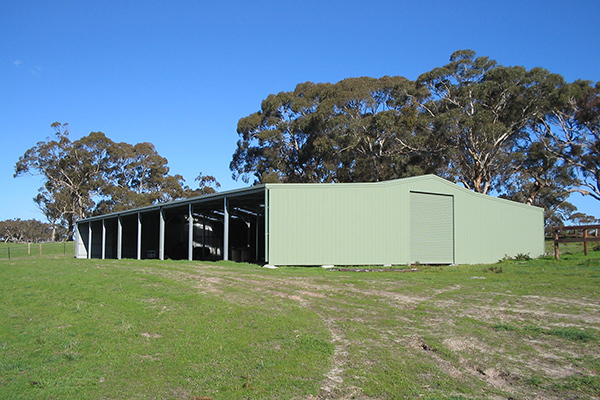 An Aussie Barn has an original Australian shearing shed appearance which can work well with older buildings.